Boulevard Medical Healthcare (Bronx) - Book Appointment Online! 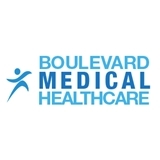 Boulevard Medical Healthcare provides a full range of medical services for you and your family. It is our goal to make your visit with us as pleasant as possible. We are your local comprehensive family care center. Most insurance plans accepted. At Boulevard Medical Healthcare our patients come first. Our doctors and staff are here for you six days a week. We treat you not just your symptoms. We are always thinking of ways to make your visit easier, while at the same time providing quality healthcare. Very professional respectful, she takes her time with you to address all your needs and concerns you may have. She's give you a full exam.